My Feet Size: UK 2-2.5. Yes, they're tiny, but the problem that adds to my shoe woes is the fact that my feet are also thin and flat-ish - there's not much flesh between my soles and arch of foot. I think if they were thicker, I wouldn't have so much heartache in shoe stores. Step 1: Place full cushioned insoles inside the shoes. Step 2: Sometimes, the first cushioned insoles are enough to make shoes more snug, but since these shoes are almost 2 sizes bigger, they need to be stuffed a bit more. Enter Ball-Of-Foot Cushions! Step 3: Place ball-of-foot cushion right where the balls of your feet would meet the shoe. OPTIONAL: These go first only if the shoes still feel too loose even after the other 2 cushioned insoles. 1. Regular (?) Insoles ~ You can get these for free from any shoe shop when you purchase shoes. 2. Cushioned Insoles ~ I think these are Scholl. They are always inside my boots. 3. Ball Of Foot Cushions ~ These are definitely Scholl. Must-Haves even if you have regular-sized feet. I put them in all closed high-heeled shoes. They make high heels sooo much more comfortable! There are those clear plasticky gel types too, but I find them too hard. I prefer these cushioned ones. *All these insoles are quite old, so they are a little bit stained from my black boots and tights. There are so many types of insoles in the market. There are pretty and fancier versions too - like Foot Petals, which are flower-shaped and all. I personally prefer the ones without glue on the underside, because I don't like to stick them permanently on my shoes. But if they are good insoles, I'd stick them on another fabric first, and then cut the extra fabric on the sides according to the shape of the insoles. Hope all you ladies with petite feet found this post helpful. Please share if you have any other tips! Do let me know if you'd like me to a post on any other shoe troubles. Thank You for reading & talk to you again soon. Ummm. These shoes are adorbs CZ. But I would need a post on how to make my wide feet fit in shoes. I would go shoe shopping, Choose a shoe and the people over their would say "Mam, this won't fit you" I am Miss Bigfoot. These tips are helpful. I bought a pair of ankle length high heeled boots only because I loved them and they are a size bigger. I am definitely going to give this a try. 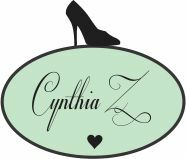 Cynthia, you are a goldmine of knowledge!!! I am also a *Miss bigfoot*. I have an odd foot size 38.5, it can go upto 40 depending upon the footwear style. I can never ever buy delicate strappy footwear or closed footwear like pumps and ballerina shoes, they don't just fit me. I always compromise and buy big 39 size shoes!! sigh! Now ever since I have started following your blogs, my FQ (fashion quotient :p) has gone up by leaps and bounds :D on Sunday, I went for shopping to ambience and promenade mall , totally inspired by your eyelid tapes look (animal print top, black jeans, red lips and yeah... brand new C&K high heels:D . by the end of 7 hr shopping , I just couldn't walk!! I got foot sores after strutting in high heels for so long!!! I wanted to walk barefoot!! after looking at my pitiful condition followed by some good scolding, my family immediately bought me a pair of new flat footwear to walk !!! :D :D I am definitely going to try ball of foot cushions and the other insole, I have tried regular black insoles , they are known as *patawa* in vernacular language but alone, they are ineffective. love your post as always!! Hi Cynthia, Can you please tell me where did you get those Heel Shields? Is it available online?